Thanks to my fans around the world I can look back on an exceptional career in show business and there is much more to come! It is high time to give back the gratitude and fun that you bring me every day. 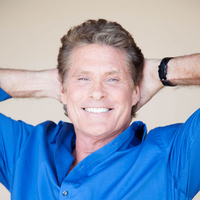 I cordially invite you to this unique fan event with GEO Reisen: “David Hasselhoff – The Official World Fan Cruise”. 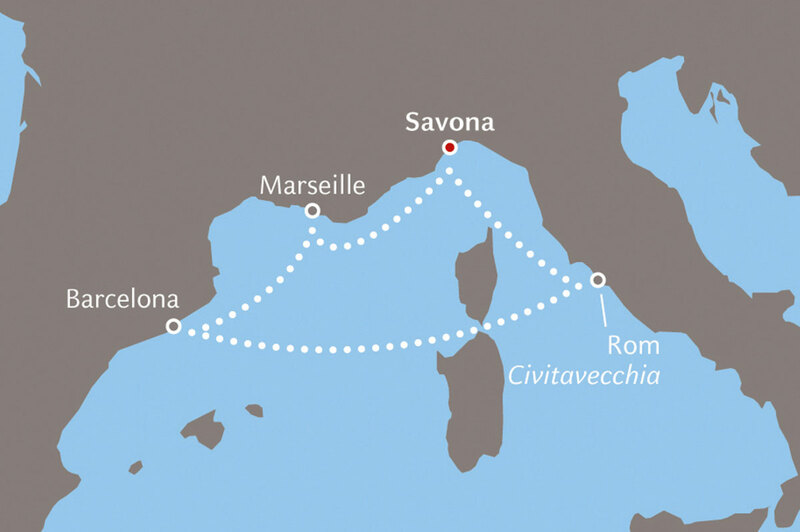 I am looking forward to cruise the Mediterrean Sea on the Costa Favolosa along with my fans from Europe, the Americas, Africa and Australia! I will be on board throughout the journey and cannot wait to spend unforgettable days with you! Like a fairytale castle the Costa Favolosa is surrounded by an enchantment, which gives the cruise ship a special charm. 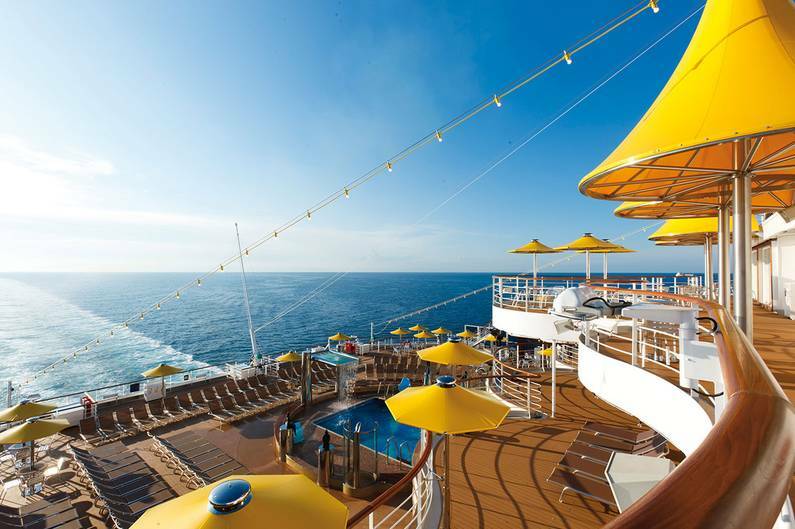 Select materials and latest technology refi ne the ideal cruise ship. Guests are welcomed in the large atrium in Gothic style. Dazzling rhombuses and royal care at all times of day and night enrich the atmosphere. 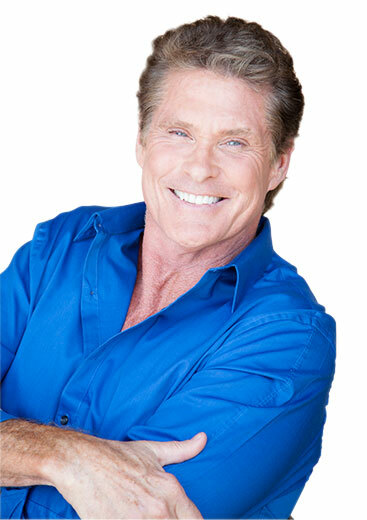 David appeared in more than 22 TV shows and 37 movies. personal expenses for drinks, tips etc. Ideal for for affordable travel comfort without forgoing the comfort and ease of a fi rst class cabin. Large windows to enjoy the panoramic views or the fi rst rays of sun in the morning. Comfortable cabins with numerous conveniences such as a private balcony with sea view will turn your cruise into an unforgettable experience. Other cabins e.g. cabins for single use, suites or multi bed cabins are available on request. 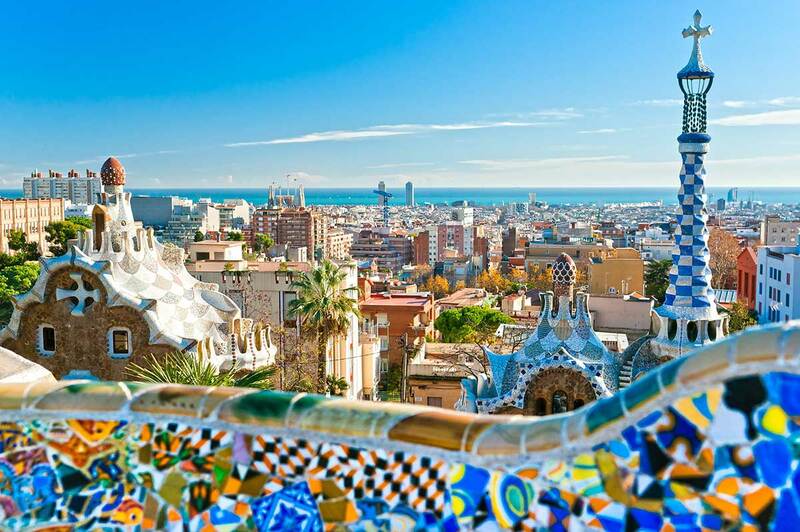 Special GEO terms of travel apply as cancellation by the artist for reasons of force majeure or illness does not entitle the client to a withdrawal from the cruise free of charge. In such an event, the operator shall refund the costs of the fan-package for the amount of EUR 100 per person. Neither the postponement nor cancellation of the artist’s performance on board shall justify a reduction of the cruise price. 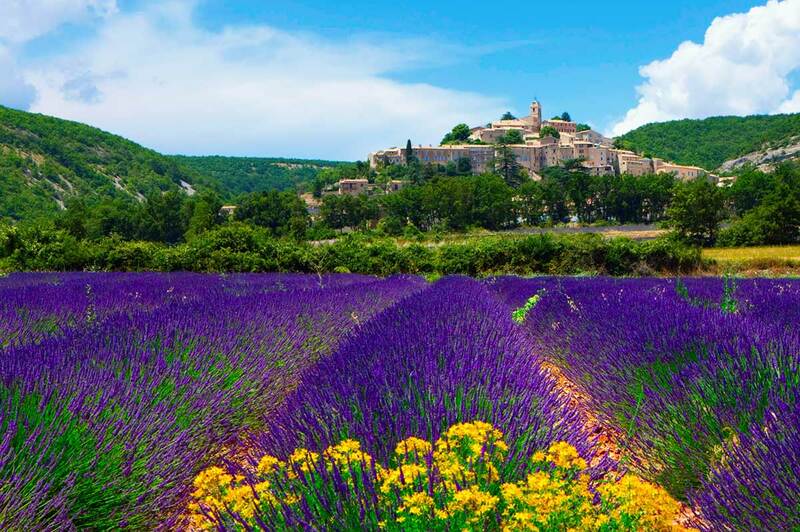 In such cases, the tour guide shall adopt measures on the spot to ensure that the program may be carried out and, if needed, inform the participants according to the situation, or arrange for a substitute program. The prices are subject to availability at the moment of booking! 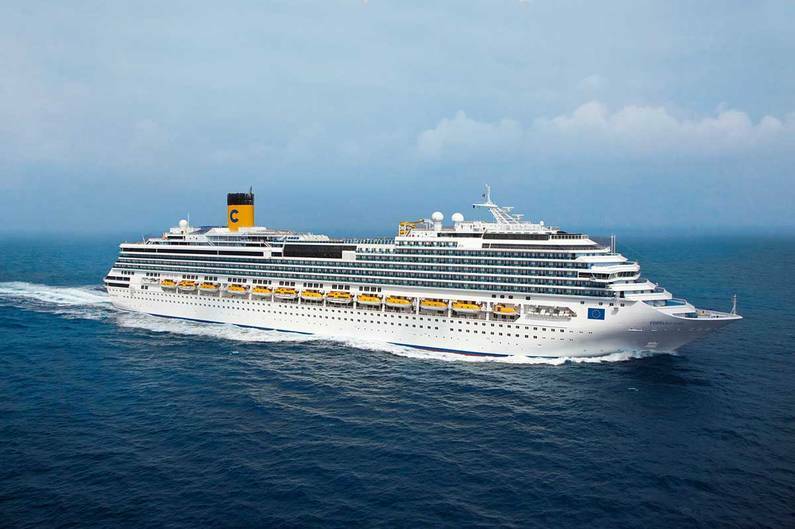 We expressly reserve the right to make changes in accordance with the provisions of the general travel terms and conditions or, as the case may be, the GEO and Costa Cruises travel terms. Costs of taxis, visas, security fees etc. remain outside GEO’s sphere of influence and shall be invoiced according to the actual cost at the issuance of documents. Information pursuant to Section 7 (1) of the Travel Agency Insurance Decree (RSV), as well as Section 7 (6) of RSV for the continuation sheet of the travel confirmation: Pursuant to RSV, client funds paid for travel packages organized by GEO Reisen are insured under the following preconditions: a deposit is paid at the earliest eleven months prior to the agreed end of travel and it covers 20 % of the travel price. The remainder of the price is paid 20 days prior to the start of the tour at the earliest – step by step against delivery of the travel documents to the traveler. Payments exceeding the above, other pre-payments or, as the case may be, additional payments cannot be required and shall not be insured. Raiffeisenverband Salzburg is the guarantor or insurer. Any and all claims must be notified within 8 weeks from entry into insolvency with the liquidator of Allianz Global Assistance, Pottendorfer Straße 25-27, 1120 Wien, Telephone +43 (0)1 525 03-0, Fax +43 (0)1 525 03-99, otherwise they shall be forfeited. Information on flight times and airlines may change! Local situation or last-minute events sometimes call for changes in the program of the tour. 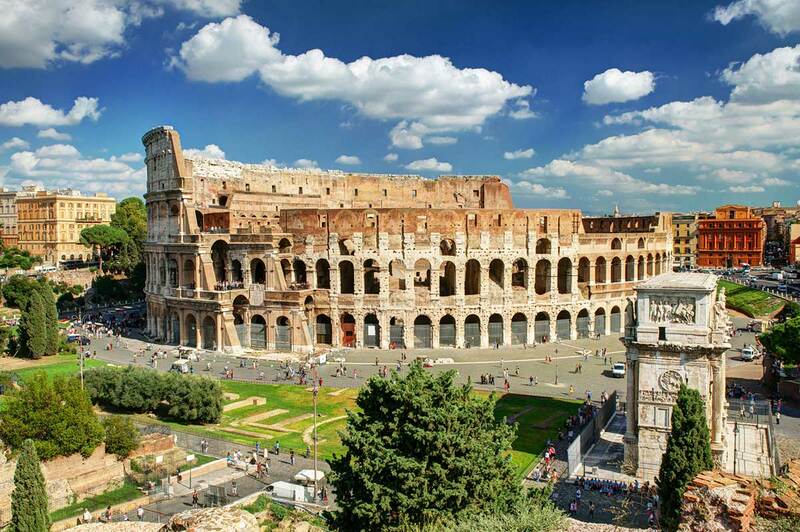 As long as such changes do not compromise the services, it is within the local tour guides competence to carry out changes in the program during the tour. Additional charge in case of a small group: should the minimum number of participants not be reached, the operator reserves the right to call off the tour or, as the case may be, increase the tour price by a maximum of 10 %! In the event of cancelation, expenses already incurred by the operator and demonstrably non-refundable expenses (e.g. procurement of visas, non-refundable deposits for hotels and other services, non-refundable tickets etc.) must be settled by the client in full in any case. A valid passport or ID is necessary. All travelers are requested to contact their local authorities regarding the conditions for entry. A traveler is personally responsible for his/her travel documents and the ability to enter the relevant country! Rejection of a visa application does not establish the right to a cost-free withdrawal. No vaccinations are currently mandatory to enter the countries concerned. Please make sure that vaccinations or similar requirements do not apply due to your own country of origin. There are no cabins available for your selection. Please choose another amount of travellers.